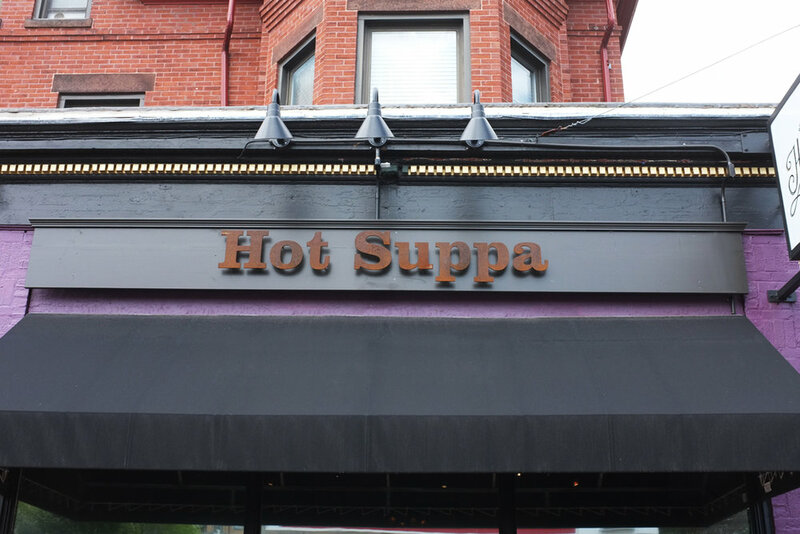 A local, comfort food hot spot with southern flare, Hot Suppa approached M&M for a complete rebrand. Arielle Walrath developed the look/feel and identity including logo, typefaces and color palette. I then implemented and created layouts for the menus, and signage. I also created original t-shirt designs.